To learn more about companies in the shrub willow business, click to open the tabs below. Double A Willow is the exclusive licensee of patented and proprietary shrub willow varieties developed by Larry Smart and colleagues and owned by the Research Foundation of the State University of New York. In 2005, Dennis Rak (B.S. 1980, Cornell University) and his wife, Sue Rak, expanded their well-established grapevine nursery business (Double A Vineyards) based in Fredonia, NY to include over 100 acres of willow nursery beds capable of producing over 30,000,000 cuttings per year (enough to plant 5,000 acres annually). Double A Willow owns and operates a four-row Egedal willow planter capable of planting 15-20 acres per day from willow whips. Dennis Rak is an active participant in applied willow research projects in cooperation with Cornell, SUNY-ESF, and Michigan State University. He is also an active collaborator with many grapevine research and breeding programs across the country. For more information, visit the Double A Willow website. 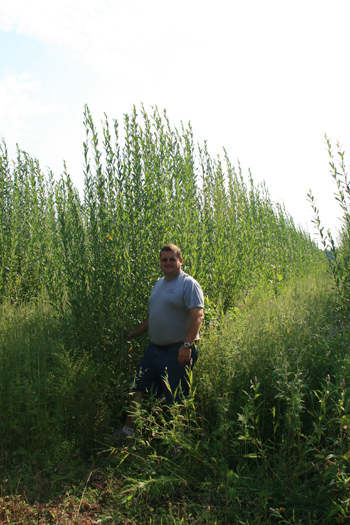 Agro Énergie is a commercial sub-licensee to Double A Willow of shrub willow varieties developed by Larry Smart and colleagues. 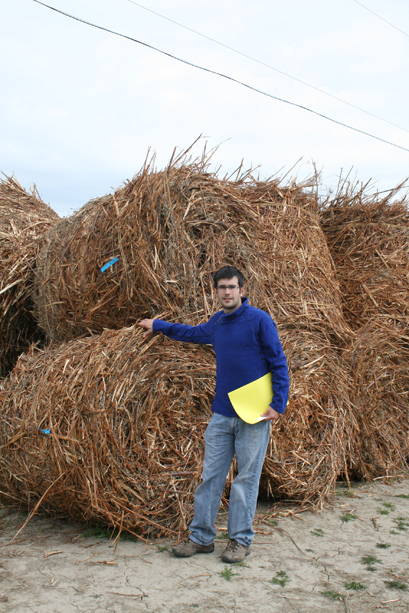 Based in St-Roch de l’Achigan, Québec just outside Montréal, Agro Énergie has established over 25 acres of willow nursery beds and company President, Francis Allard, is actively engaged in promoting the shrub willow bioenergy crop enterprise in Canada. Francis Allard is an active participant in applied research projects and cooperates closely with Dr. Michel Labrecque of Montréal Botanical Gardens and the Université de Montréal, an expert on shrub willow crops and phytoremediation. Agro Énergie owns and operates two types of willow planters and is also actively engaging in testing novel willow harvesting equipment. For more information, visit the Agro Énergie website. Bionera is a wholly owned subsidiary of PRT Growing Services Ltd. Since its formation in 1988, PRT has grown to become the largest producer of container grown forest seedlings in North America. PRT has produced more than two billion forest seedlings in intensely managed growing systems. Today, PRT operates 13 nurseries in Canada and the US with an annual combined production capacity that exceeds 175 million seedlings. For more information, visit the Bionera website.